With the amazing 15th century backdrops of Havana and the beautiful family owned tobacco fields in Vinales, you’ll experience Cuba like no other photo tour. It will feel like visiting friends! The people and culture of Cuba will engulf you with its kindness and music. 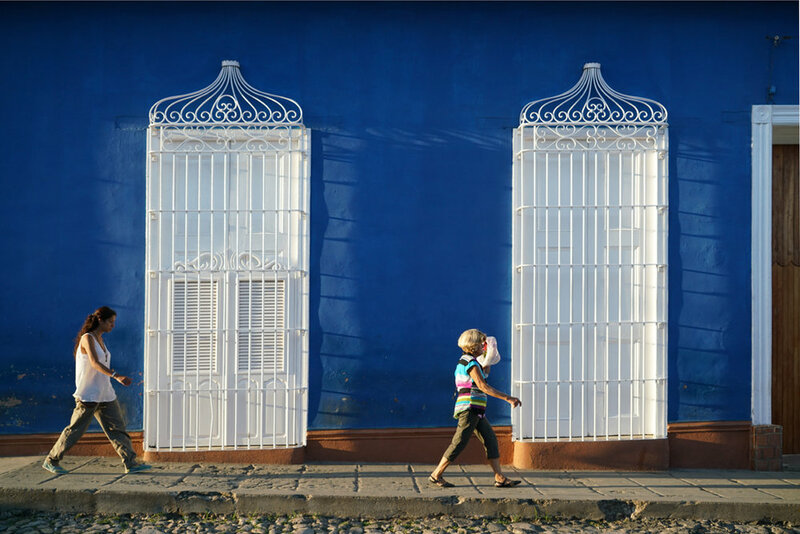 The brilliant colors of Havana will inspire you to create. And the centuries old tradition of farming the world’s finest tobacco will introduce you to Cuba’s rich cultural heritage. This unique combination of professionals will motivate and inspire. You’ll discover your hidden creative talents with new skills and techniques that will stay with you long after this exceptional workshop is completed. We will travel over night to Vinales for the tobacco season. The tobacco will be in harvest and we have been invited to a pig roast and artist galleries. In Havana we will be photographing Flamenco Dancers, Professional Boxers, Artists and of course the Culture of Cuba. Did I also say Old American Cars! Will be with us on the streets, photographing people and the architecture of Cuba. This will be his 20th trip. Bruce makes sure the trips are designed to make sure you’ll never see, or photograph, the world quite the same way again. I’m very excited about our upcoming trips, and I think you will be as well. An award winning creative director in advertising with over 25 years experience, Glenn believes humans are wired for stories. Creative storytelling can evoke emotions and generate strong personal connections to a brand, its objective, and its products. Glenn has created advertising for such brands such as IBM, Gatorade, Unicef, The US Armed Forces and Verizon. He has worked with some of the world’s top commercial photographers to capture striking images for his clients. Our Cuban Artist will also be with us to introduce us to the world of Cuban artist. Come and learn how to document the amazing colors and details of Cuba with a professional street and travel photographer, a portrait photographer and social media expert and a creative director. The mix creates hands on help throughout the trip to raise your photography to the next level. The streets will be your classroom, alive with color, music and dance while you photograph under the experienced guidance of professional photographer Bruce Byers. This is a once in a lifetime experience to learn, grow in a unique location that you do not want to miss. (bed and breakfast) including breakfast. $800 deposit for Havana to Vinales workshop. Jazz, small cafe music, and other club visits can all be arranged. We stay flexible to be able to enhance plans according to the group and what exciting unexpected surprises are happening in Cuba. Fly into Havana to meet group. Arrival at Havana’s Jose Marti International Airport. Private transfer from the airport for a journey to the Havana and your casa. Depending on flights, we will do a photo walk and be on the Malecon for sunset and welcome rum. Havana has a lot to see and do. Make sure to bring a lot of memory cards. Sunrise on the Malecon with the fishermen, ships and the Moro Castle. Each morning there will be a sunrise photo walk for those who care to join. Head to Vinales for Tobacco farms and the valleys. We will visit two major tobacco farms and learn the secret behind the great Cuban cigars. Dinner will be a pig roast with our local tobacco farmer. Photograph the valley at sunrise. Havana always has an interesting turn of events with the fishermen, old ships and great light, if you up for it. Lunch: At an Artist studio. Ending up at Moro Castle to photograph it's 15th to 18th century walls and canons. Great skyline of Havana and the Malecon. 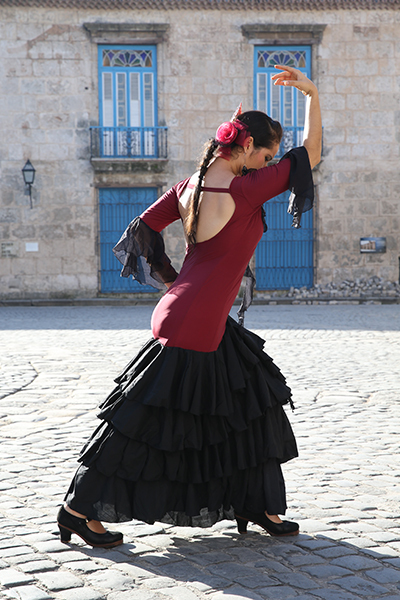 Flamenco Dancers in the Havana Cathedral Square. These great dancers will make it easy for you to create images with them with a once in a lifetime backdrops of 15th century buildings. We will be joined by one of the teachers from Old Havana Restoration School and Workshop to take a tour of the school that is putting Old Havana back together. We will be allowed to photograph the students and their work. Visit Taller experimental de Grafica, a great printers gallery to rub elbows with the local Cuban artist. We will be at the Malecon with dinner near by. There are many evening music and club options that you can choose form. Revisit those places you didn't get enough of. We will travel independent or with the group. Always early sunrise walk on the streets or at the water front. This is the day to explore and finish up projects that you started the trip with.